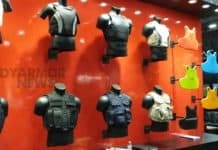 The merger between U.S. soft body armor manufacturers Point Blank Enterprises Inc. and Protective Products Enterprises LLC has been finalized. Under the merger between the companies, both of which are owned affiliates of the private investment firm of Sun Capital Partners, Point Blank Enterprises Inc is the parent company. “For the past six months, we have been working diligently to integrate all aspects of our businesses — including sales and marketing, manufacturing, R&D, finance, and IT — to better serve our global customers,” said Jim Henderson, chief executive officer of Point Blank Enterprises Inc.
“We’ve made significant inroads and much of the integration is completed. We continue to win new awards, both domestically and abroad, and the changes we’re implementing now will allow us to further shorten our industry-leading delivery times, while continuing to provide our customers with the industry’s best and safest products. “We look forward to building upon the heritage of Point Blank Enterprises Inc, PACA, Protective Products and Paraclete for years to come,” he said. 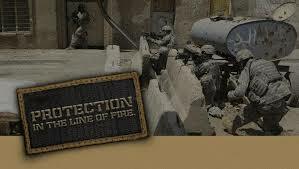 Point Blank Enterprises Inc describes itself as the world’s largest manufacturer of ballistic and soft armor and related protection systems.